A four-month-old baby girl from Dublin could have only weeks to live if the Government doesn't approve a new "life-enhancing" drug, according to her father. Baby Lara McHugh, from Blanchardstown, was diagnosed with a rare condition known as Type 1 Spinal Muscular Atrophy (SMA) just six weeks after she was born. The genetic disease makes her muscles extremely weak, with the weakest muscles being in the legs, upper arms, and neck. A common cold can easily turn into pneumonia, which is what usually takes the lives of children affected, along with "respiratory failure" when they no longer have the lung or chest muscles to be able to breathe on their own. The life expectancy of babies with SMA Type 1 is only eight months, with 80pc dying before their first birthday, and the majority of the rest dying by two years of age. There are currently just two babies with SMA in Ireland - both based in Dublin. 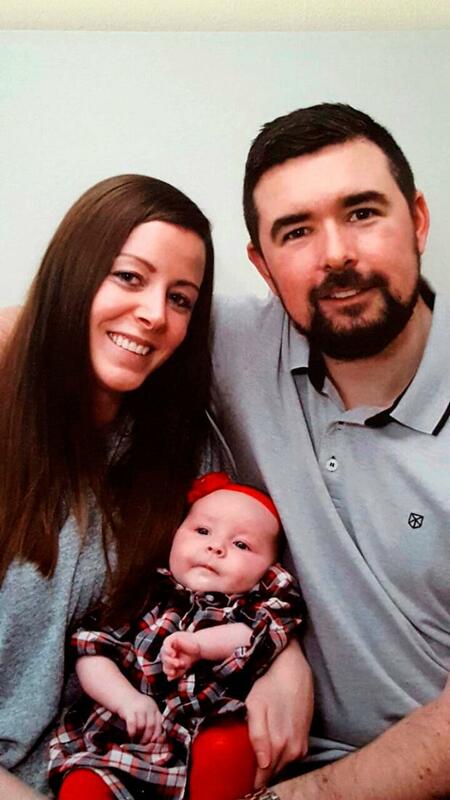 Dad Niall McHugh told the Herald that his whole world collapsed as soon as his little girl was diagnosed with the fatal disease. "My fiancee Celine and I were absolutely devastated when we heard the news," he said. "We were in complete shock when we were told how serious our daughter's condition was and are just plagued with grief. "We brought Lara into Temple Street Children's Hospital to have a check-up when we noticed her legs weren't moving as well as the doctors expected. 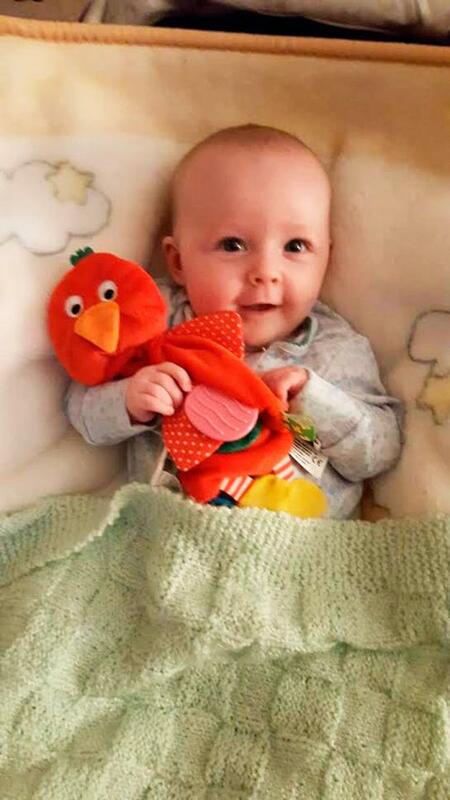 "We thought she would just need a bit of physio but, when we were told she would have to remain in hospital for two nights, we knew it was more serious. "After many tests, the doctors eventually diagnosed our daughter with SMA. "Myself and Celine had literally no idea what SMA was before she was diagnosed. There isn't a lot of Irish-based information about the illness out there, but through various forums on the internet we managed to learn a whole lot more about what our daughter was going through," he added. Doctors told the couple that other children with the same condition don't usually live past the age of two. Niall said there is a ray of hope for his daughter due to a new drug for SMA patients, which was recently given FDA approval in America. Biotech company Biogen, which produces the drug Nusinersen, saw substantially positive results during clinical trials with babies similar to Lara in the US. "We watched a video of a baby girl the same age as Lara on the internet, who was receiving this new treatment, and the progress she made was just incredible," Niall said. However, the drug has not been authorised by the European Medicines Agency (EMA). "We're hopeful that the HSE and the National Centre for Pharmacoeconomics (NCPE) can approve the treatment Lara needs so she can take part in Biogen's expanded access programme," Lara's dad said. "We're not sure if this drug could save our daughter's life in the long-run, but it will certainly extend her life and, who knows, maybe they will find a cure in the meantime. "We've been told the drug could come at a cost of €400,000 for the first year, but we really need to have it approved right away. "We don't have time for the NCPE to negotiate another price." The HSE told the Herald it is aware that Biogen has applied to the EMA for market authorisation in the EU. "The HSE understands that application to EMA was submitted in September-October. EMA assessment processes generally take around one year," a spokesperson said. "When or if a European market authorisation is granted or is about to be granted, the HSE would expect to receive a pricing and reimbursement application from Biogen. "It is unlikely that the HSE will receive a pricing and reimbursement application until later this year." The NCPE, however, said it is currently not considering Nusinersen "as it has not yet received a positive opinion or marketing authorisation from the European Medicines Agency". "Lara's life depends on this drug being introduced in Ireland because without it her outlook looks very bleak," Niall said. "In the UK it has been approved, along with several other European countries, so why not here? It doesn't need official EU approval because we're simply looking for Lara to get on the drug's access programme. "It won't mean that the drug will be on the market, but at least our daughter will be receiving it. "I know the Cystic fibrosis drug Orkambi was rejected because of the high price, but we hope that the Government will make an exception for Biogen's drug because there currently is nothing like it on the market."